Harrisons Direct stock a wide range of wholesale gift bags suitable for many different occasions! We are a one-stop shop for wholesale gift bags, with fantastic prices on everything from wholesale bottle bags to large wholesale gift bags! Harrisons Direct stock a wide range of gift bags wholesale suitable for many different occasions! We are a one-stop shop for gift bags wholesale, with fantastic prices on everything from bottle bags to large gift bags! We go the extra mile to bring you industry-leading wholesale gift bags at great competitive prices. 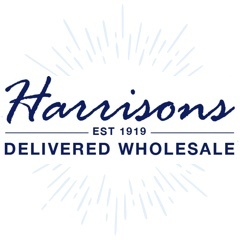 With next working day delivery, outstanding product quality combined with friendly efficient customer service and over 90 years experience supplying gift bags, our aim is to make online shopping with at Harrisons Direct easier than ever. Our wholesale gift bags come in a range of sizes so you can tailor your selection to suit the exact needs of your customers. 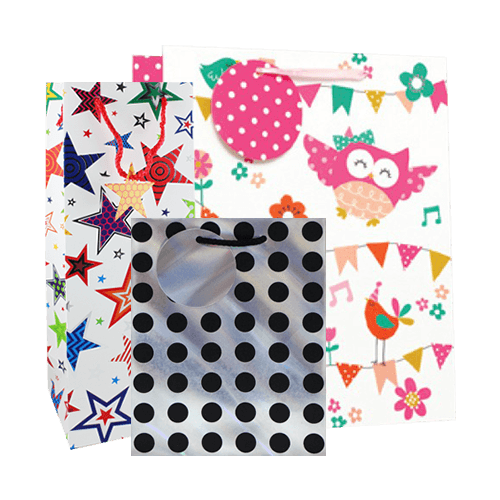 Our range of gift bags wholesale includes wholesale bottle bags, large, medium and small wholesale gift bags and even wholesale DVD box gift bags - all available in a range of great designs and suitable for a plethora of occasions! Can't find what you're looking for on our website? Give us a call on 01254 306840 and we'll be happy to help!